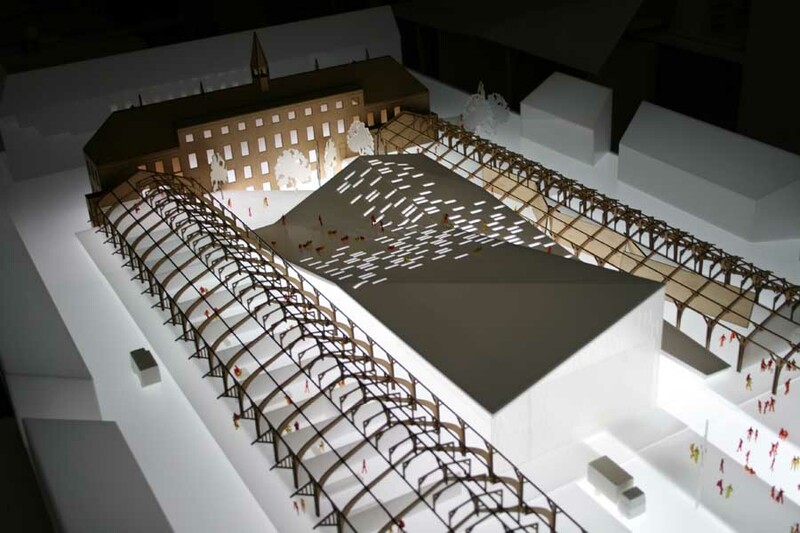 A new cultural hub for scenography, visual arts and literature will soon be constructed within a historical framework in Denmark’s second largest city, Aarhus. The new cultural center is meant to be an inspiring setting that stimulates production of the arts and facilitates the interaction amongst the various artistic metiers, business and education. 3XNs proposal adds elements of nature, with green spaces injecting a natural raw quality which plays up to the historic nature of the existing halls which were used for rail freight in the past. The jury’s decision on the winning proposal was based on the project being a ‘facilitating link, historical, functional and comprising an architectural spatiality’. The building is expected to be a flexible space with optimal usage of more than 9,000 m2. The project is comprised of the renovation of the existing freight halls along with a new building with rooms and large scale auditoria. The roof of the building will appear as an extension of the green space – and indeed will take the form of a green ‘carpet’ over the new building. There are a number of other green initiatives that will be brought to the project – primarily with a view to reducing the building’s electricity needs for ventilation, pumps and lighting. 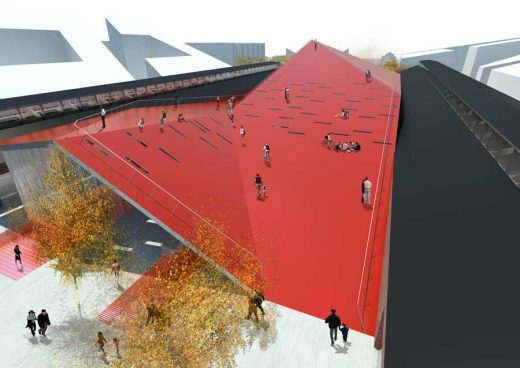 The Cultural Production Center is expected to be completed in 2012 and is a collaboration between the Municipality of Aarhus, Denmark and the Realdania Foundation. The winning team is comprised of 3XN Architects, Hans Ulrik Jensen A/S, Exners Studio, Nord Arkitekter and Søren Jensen Engineers.